Lock in a great price for Xuxi Apartments – rated 9.5 by recent guests! Amazing little family-owned hotel. It’s on the outskirts of Lukova but easy access to the beach by car. Spiro took great care of us and even guided us to the beach to make sure we found the best spot in town. Oh and the breakfast was amazing! The hosts were marvelous - really made the effort to have our 10 days at their place relaxing. Spiro, Kristina and their parents were very patient with children and in general with guests. It is worth to order their breakfast, which includes local specialties and abundant. The small hotel is way better than the price range indicates! Was all perfect. Since the first moment until the goodbye, the owner was really dedicated. The rooms are comfortable and all is new. 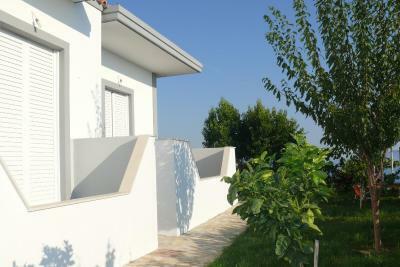 There is a beautiful garden with a great view behind the property. The breakfast was very good, too much quantity and good quality. I really recommend this place. Exceptionally clean rooms, the host is fantastic. Dont miss the breakfast! Good location, very clean, big rooms, everything was in order, perfect, friendly, helpful staff. Spiro and his family are very hospital. 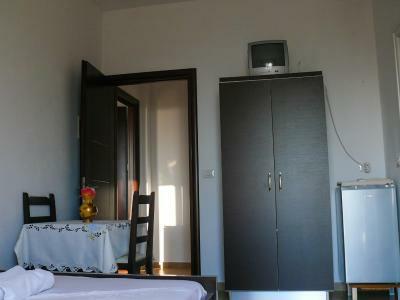 The rooms are clean indeed, location is the best, near the best beach Lukove. We will definitely return to Xuxi apartments and I recommend everyone to choose this property for hospitality and especially for the peace and the gourgious view from this property. Nice, peacefull, romantic and clean place, nice owners. The hosts are extremely nice, they also offered coffee in the morning The view from the house was stunning. 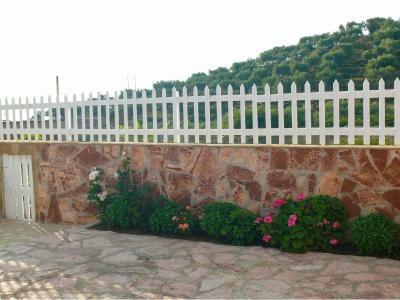 There is an absolutely beautiful terrace overlooking the sea. 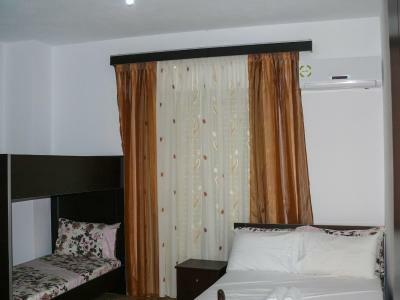 Rooms are spotless clean and comfortable, with air conditioning. The accommodation is absolutely spotless. Brand new facilities and amazing location. However what made our experience really amazing is the sens of hospitality of our hosts and the welcoming. Coffee on the arrival on the departure and we tried some typical petlla "pancake" really delicious. I highly recommend this flat. 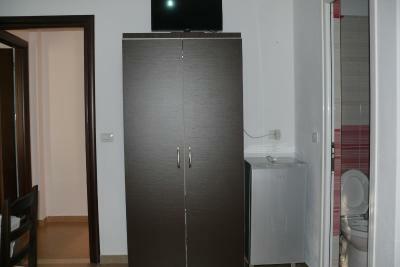 Beautiful sea views, very clean rooms, new rooms. The location was perfect for exploring lovely beaches but also for relaxation as it was very quite. We could sleep late in the morning. The most helpful and nice hosts. Thank you very much for everything. We highly recommend. 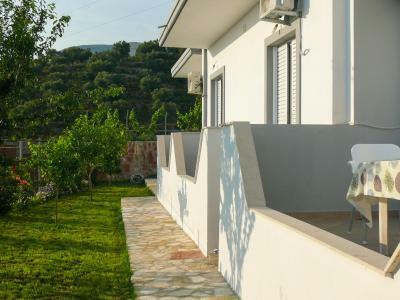 Featuring a garden and free WiFi, Xuxi Apartments is located in Lukovë. Every room has a balcony with sea views. At the guesthouse, rooms contain a desk. 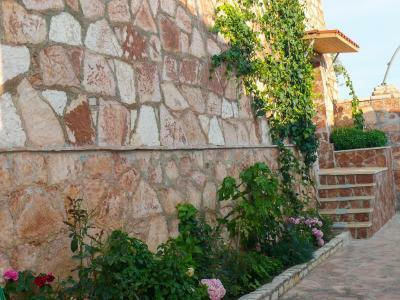 The rooms have a flat-screen TV, and selected rooms are equipped with a mountain view. Guest rooms will provide guests with a fridge. Xuxi Apartments has a sun terrace. Sarandë is 14 miles from the accommodation. 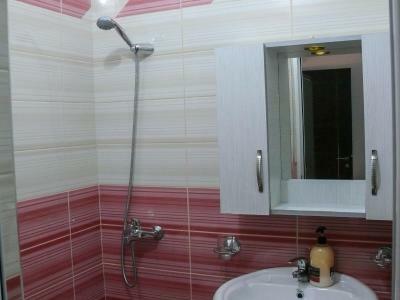 This property is also rated for the best value in Lukovë! Guests are getting more for their money when compared to other properties in this city. When would you like to stay at Xuxi Apartments? This apartment has air conditioning, kitchen and sea view. House Rules Xuxi Apartments takes special requests – add in the next step! A better wi-fi and you have to ask them to leave the hot water on after 21.00h. The hotel is very clean. Spiro and his family are very friendly. A great service. You can have a great breakfast, free parking, free wifi (although it needs a little improvement), a great location and the house has a great view of Lukova beach. We stayed there 9 days and we left very satisfied. Recommend this spot! The wifi could be better. In the corridor right next to the room there was a shared kitchen, and in the morning it was quite noisy while people were making breakfast, so if you like oversleep and lying in, it might be better if you ask for a room far from the kitchen. The bathroom was not in the room, we had to cross the corridor, which is not a big deal. However, when we arrived we had been told that it was our own private toilet, but then we realised that somebody else had used it, leaving the WC a bit dirty. We don't really mind as we are used to travel in hostels and places with shared bathrooms, but it's worth mentioning it in case it is a problem for you, so that you can specifically ask for a room with a private bathroom. They do not serve breakfast, but you have a fridge and all facilities to make your own. The rooms were a little to small, especially for 4 persons and the bathroom was also tiny. The beach was a little far, cca. 4 km, so you definitely need a car. Excellent hospitality. Very clean. Would recommend.